It feels rare. It smells rare. It IS rare. Anything could happen. Gannets inland, a Sabine's on the Thames, the east coast awash with Cory's and Leach's. Locally Stu had a Barwit over Leyton. Could I get out? No. A kid's party and a family lunch - the enemies of birders everywhere. All kids birthday parties should be banned in September and October, it's just not on. And social events where people invite themselves to my house should also be banned. I mean fercrissakes, it's mega out there! And if it's mega out there I don't want to be in here! As it happens I dodged one today, with Suffolk underperforming given the weather, and what promised to be a river watch of epic proportions at Rainham turning out to be just a river showing well but little else. But that's not point. To anybody I know, I don't want to see any of you at the weekends until at least November. It's a myth that birders are antisocial awkward misfits. I live to bird. Kind of. At the very least it's massively important to me. I had an epiphany the other day, and worked out what I wanted out of the next 40 years, should I be so lucky. It boiled down to just three things. One, I want my family to be happy and to have a great time. Two, I want to see lots of birds, everywhere. And three, I want to take photos of them. Good ones. There is of course an obvious problem, which is that when you add two and three together the answer is not very often one. Simple maths really. And so it was that I managed just an hour birding today on a very murky Wanstead Flats, before being recalled to Chateau L to grit my teeth and smile, followed by having my eardrums forcibly extracted at "Tumble in the Jungle", a dungeon of soft-play hell in Walthamstow. 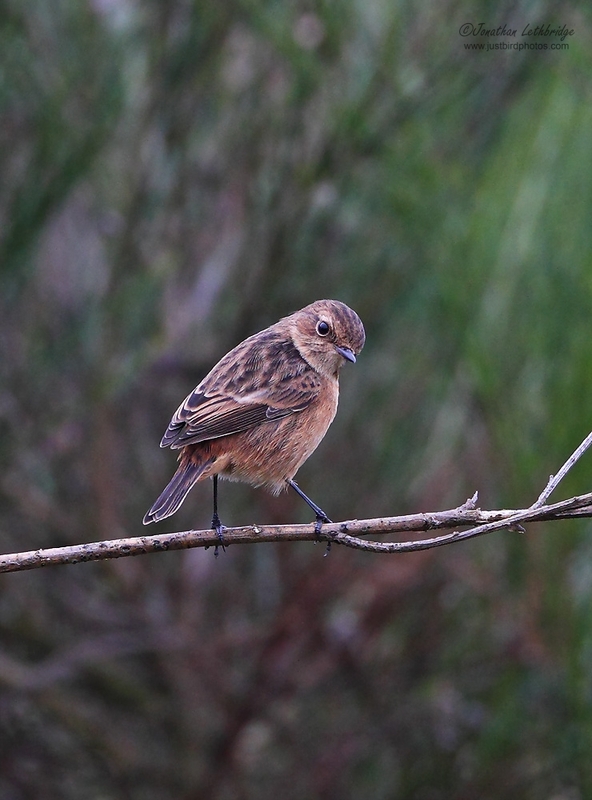 During that hour I saw two Stonechats and a Wheatear. 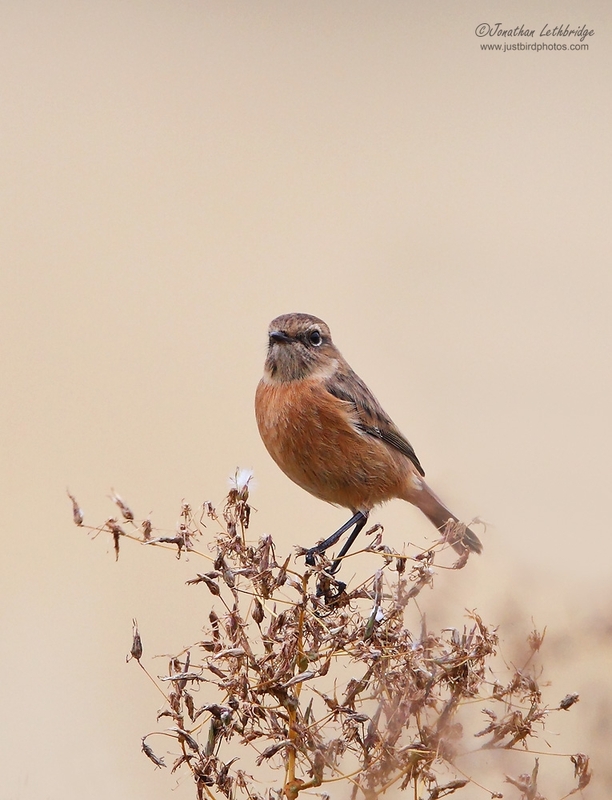 Seeing as how many readers are probably sick and tired of Wheatears now, here is one of the Stonechats. You had better hope they don't stay. Catchy title. I have three children and a mother with birthdays between 11 September and 2 October, I empathise entirely.